Hyundai India recently celebrated its 20th Foundation day and Hyundai’s vision of attaining market leadership position in the Indian automobile market. Hyundai Motors India Limited (HMIL) came in India in 1996 to setup their first plant which started operation in 1998. Since then on there is no looking back for the brand and now Hyundai is the second largest car manufacturing brand in the country. "This is a very important milestone for us. 20 years ago we only had a dream of transforming the Indian auto industry by introducing contemporary products and today that dream has come true." 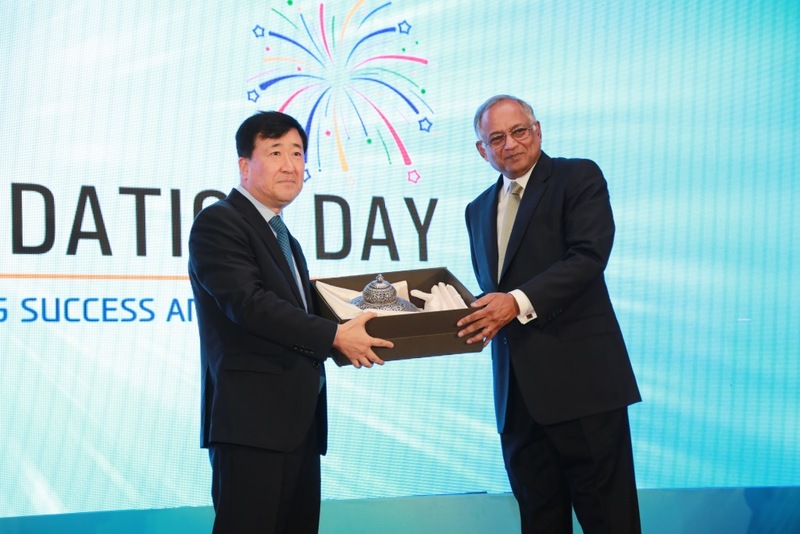 The top management of Hyundai Motors received a baton-scroll from Mr. YK Koo, as a token of their pledge & strong commitment to make the company the second largest manufacturer in the country through the past two decades. 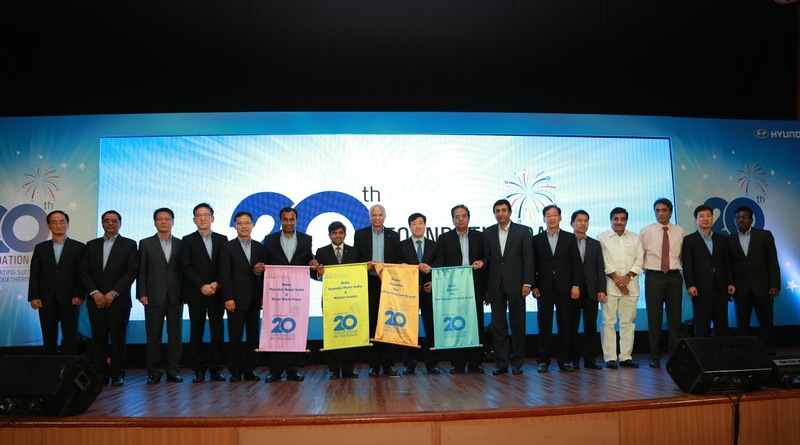 As part of the yearlong celebrations, the company has also launched a new logo to illustrate its 20 years of success and togetherness in India. As a gesture of appreciation and goodwill, HMIL would also be organising a grand carnival for its employees at the factory premise, over the weekend. Collaborations always benefit both parties in terms of producing more results with reduced efforts. Throughout the entire partnership, both parties have managed to gain financially while contributing toward the industry and economy, hence maximizing their different areas of expertise. Over time, they both can learn from each other and exchange their different skillsets.